A tomboy tries to transform herself into a Southern belle to gain her father's approval, but guilt, family secrets, and her love for a daring sea captain threaten to rip her world apart. The cover of this book enticed me to read it more than the synopsis did, and I am so glad that I chose to review this novel. It is well written and has a strong plot and characters. After reading the book, I would like to state that the above synopsis is nothing like what the book is actually about. Twenty year old Elizabeth Benjamin is returning home after four long years away from her family and the man she loves. 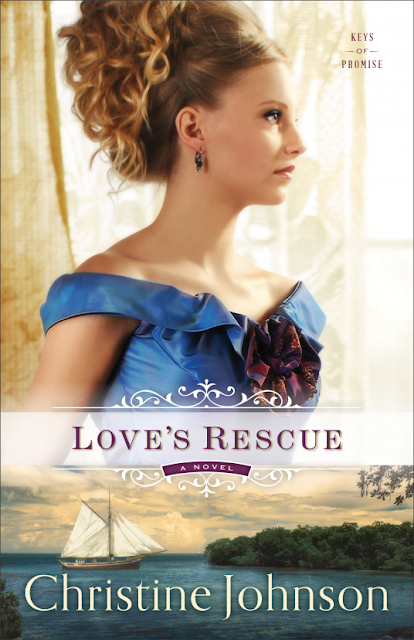 Sent to Charleston at sixteen to seek a suitable match, and to get her out of the house while her younger brother recovers from a horrific injury. She hopes that her father will approve of the man she has loved since she was a young girl, but deep down, she knows that hope is futile - and has no idea whether the man in question is still single! Rourke O'Malley is a local boat wrecker, and when he see's a ship foundering on the reef he knows he has to more than salvage the wreck. Can he get there in time to ensure no lives are lost? He prays so. Then the unthinkable happens, he is accused of a crime he didn't commit. Can Elizabeth convince her Father that the man he has chosen for her isn't the man that she loves? Can Rourke prove his innocence against the accusations brought against him?